It’s normal to feel nervous on a job interview. Will I say the right things? Do I know enough about the job? Will I make a good impression? Imagine interviewing in a different country. Biruk Woldesenbet doesn’t have to imagine. 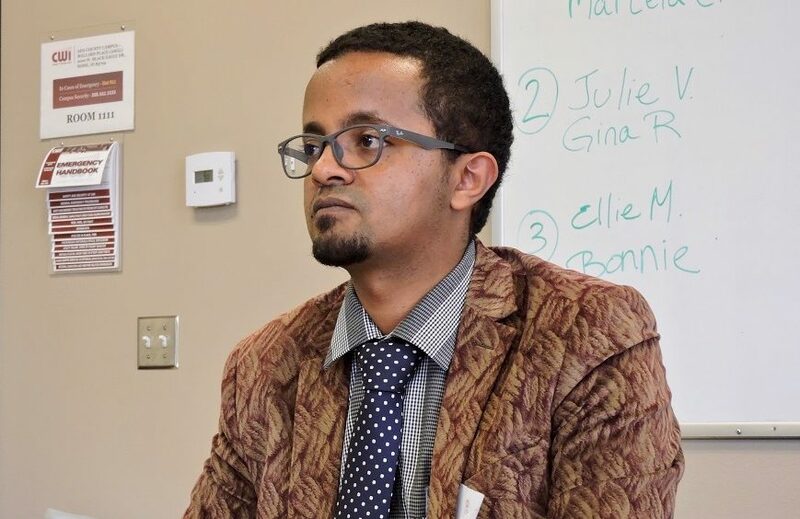 Woldesenbet, who left Ethiopia last year to join his wife in the United States, has been navigating the application and interview process for the past year. As a skilled banker in his native country, Woldesenbet felt ready to enter the job market in his new home: Boise, Idaho. However, things like how to use online application systems, write resumes and interviewing proved to be quite different – and challenging. As someone finding his way in a new country, he was grateful for some help from a local nonprofit, Global Talent Idaho. The organization assists highly-skilled new Americans to successfully integrate into professional roles. They provide job seekers with career counseling, training, cultural orientation, opportunities for mentoring, networking and internships. For instance, in Ethiopia making eye contact in an interview can be disrespectful. Woldesenbet learned while working with his interview panel that eye contact in the U.S. is essential. He also discovered that shaking hands with a woman interviewer – frowned upon for men in Ethiopia – was important in the U.S. Gena Russell, a commercial banking relationship manager at U.S. Bank, was one of nine volunteers from the bank to participate as an interviewer at the summit. This type of volunteer event aligned with U.S. Bank’s Community Possible platform focused on creating opportunities for Work, Home and Play in its communities. The event brought Russell a new perspective on the caliber of job seekers. “It was neat to see these highly educated and talented professionals have ‘ah-ha’ moments when learning to communicate their qualifications.” Gina Finley, a Global Talent project manager, explained that participants are often stuck when trying to pursue their professional careers due to cultural differences in anything from a cover letter to an elevator pitch. “You see this person with so much skill not able to get a job,” she said. “We are able to connect our job seekers with those who can help them through the process, while helping Idaho retain talented professionals as key contributors to the community and economy.” Finley knows the process works. Woldesenbet is proof. He impressed the U.S. Bank employees volunteering at the career summit and, turning mock into reality, the bank hired him as a teller at one of its branches in Boise.